Our office always spends a lot of time educating ourselves about flood insurance because we deal with it on a daily basis. In fact, when this call that I am about to describe came in, I was in the process of actually reading the FEMA Standard Dwelling form, which I haven’t done in a year or so, just to keep it fresh. I just had a phone call from a potential client. He lives in the next town over and is distressed because his flood insurance renewal went up by $1,000, to $4500. He contacted his long time agent, who represents one of the big direct writing companies. His agent has been a great help for many years on many things, but when asked about this, just shrugged his shoulders and said ‘it’s FEMA, it’s the same for everybody, and I wouldn’t know how to help’. This agent is, I’m sure, a nice guy and very good with traditional auto and home products. But he is like many others in that they have been trained that flood insurance is just FEMA and there are ‘no differences’. In some ways, I can be selfish and say I like the idea because it means our office will look that much better, but I’m not that kind of person, and what it means to me is that people are paying more than they should be. Unfortunately for clients, this scenario plays out daily all across the country. 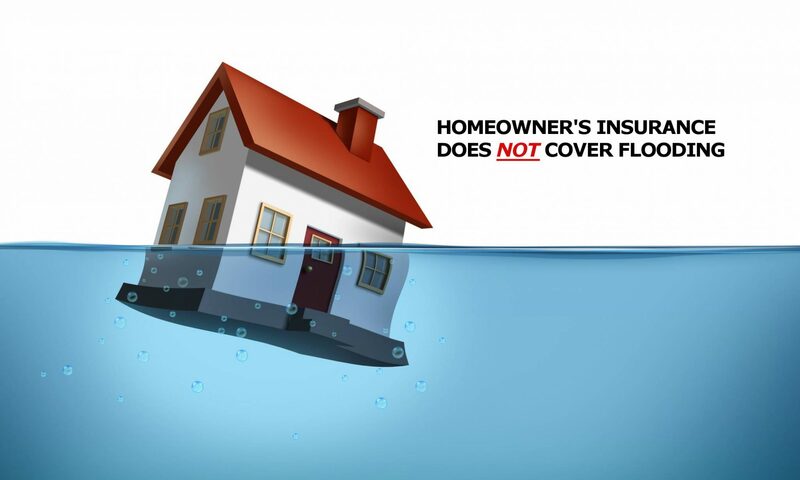 Not only is all flood insurance NOT the same with a new crop of private flood insurance policies available now and new ones coming out all the time, but knowledge of FEMA’s rules often allows us to find errors and choices that can reduce the rates. From the price this person told me they were paying, I can almost guarantee that they are carrying a very low deductible, and quite possibly also getting the $250 non-primary residence surcharge if they or their agent did not follow up on the requests sent by FEMA in the past 2 years. I was able to give him three suggestions, one or more of which I am quite confident will save them money, and if not, they will know they have a correct policy which is still better than ‘I Don’t Know’. The person told me that they only got a couple of inches of water in their basement in the Sandy storm. So that is an indication that the house may be high enough to qualify as ‘elevated’ by FEMA’s definitions. So I referred them to an engineering firm (Gayron-deBruin) that has a unique way of handling elevation certificates. They charge a $75 fee to look at public records and maps and see if the house is likely to qualify. Then if that checks out, and you want to go on to the next step, it’s $225 to have them come and look and then IF at that time it is determined that you will benefit from an elevation certificate or LOMA (Letter of Map Amendment) they charge an additional $300. That brings their charges to the same as most firms, but ONLY if you proceed through all the steps. If they determine that the certificate will not help, the charges stop. So instead of being at risk for the whole $650 or so right from the start, many people are able to stop after the initial $75 or $225. After it is determined whether an elevation certificate would help, our next step will be to review their current policy and suggest possible changes or corrections to lower the rate. The final step will be to check with the various private flood insurance carriers to see if they offer a lower rate. However with the rules currently in effect, we also have to be VERY careful about moving anybody OUT of FEMA because until congress passes an expected new regulation, if a client leaves FEMA for more than 60 days, they will lose ALL their pre-Firm subsidies and have to pay the actuarial rates. This is yet another way that agents who do not keep up with all the changes might damage their client rather than helping. It’s storm season, folks. And in addition, increasing numbers of floods are happening in non-flood hazard areas. Two thirds of the people in the recent Louisiana floods did not have flood insurance because they were ‘told they didn’t need it’ because they are not in a high-hazard zone. AND there was only a rainstorm, not a hurricane or even a named tropical storm. In the rainstorm that affected us here in Babylon and surrounding areas in August of 2014, I lost a 6 month old SUV on Park Ave in the Village to the floods, nowhere near ‘the water’ (Great South Bay or Ocean). In this case, over the years, increased covering of the land by buildings and parking lots to the north of us, in North Babylon, Deer Park, and Dix Hills, has messed up drainage and runoff, has caused water to stream down from towns north of us. Where years ago it was absorbed by open land, now gravity still causes the water to run south towards the bay, but it has no place to go except in the roads and streams. FEMA bases it’s flood zones mostly on STORM SURGE from bodies of water. but even if you are not near a river, lake, bay or whatever, if you get 25 inches of rain in a day, like they did in Louisiana, drains will be overrun, and there WILL be local flooding. I was speaking with the local building inspector the other day, and he was explaining that our drainage systems are designed to handle up to 5 inches of rain in a day. The rate they were getting hit in Louisiana was 4 inches PER HOUR! New data by AON/Benfield that we were introduced to a couple of weeks ago at the National Flood Services annual conference, is gathering lots of information on things like how much rain our municipal drainage systems can handle, where trees are likely to come down and cause a natural dam that can bring on a flood, and even where rubble from damaged buildings and trees is likely to accumulate and block waters. They are able to do this thanks to new military-grade satellite photos and info, Google Earth, and more. As with many business models, they will be using the information to try to be sure they are charging the correct rates, which are in some cases higher and in some cases lower than what FEMA does by drawing general ‘flood hazard zones’. It’s going to be an interesting few years as storms continue to intensify, sea levels continue to rise, and more products and options come to the flood insurance marketplace on Long Island and all over. And it will become more and more important to buy your flood insurance from someone who knows the ropes because it also is not just FEMA anymore, and pretty soon the rates will NOT all be the same. Hi all. It’s been a while but i have a few items to post about. This is the most important one. No matter where you live in the country, residency requirements are about to change BIG TIME for homeowners insurance. The new language says you MUST be living at the residence premises at the time the policy starts and each year when it renews. There are many problems with this, but let’s just pick a few. What about snowbirds? What if you go into the hospital and then to a rehab center for 3 months? what if you just bought the house and want to do some work on it for a few weeks before moving in? what if you head for North Carolina and let one of your kids live in the house? Anyway, this is going to be a HUGE issue so if you think you may have any such risk, be sure to talk with your agent. There is a partial solution in the form of a paper you can file with the insurance company advising them of the dates you won’t be there. But first of all, who thinks of that? and second, THE FIX HAS NOT YET BEEN APPROVED IN NEW YORK. But the basic language that causes the problem HAS been approved and will be taking effect at some point for most insurance carriers.